Thousand Guineas winner Amphitrite is set to have her first start for her new stable, Lindsay Park, in the Group Three Vanity at Flemington. Three-year-old gelding Hawkshot dominated Saturday's Group Two Autumn Stakes (1400m) at Caulfield at his first start for Lindsay Park after being transferred from the disqualified Darren Weir last week. 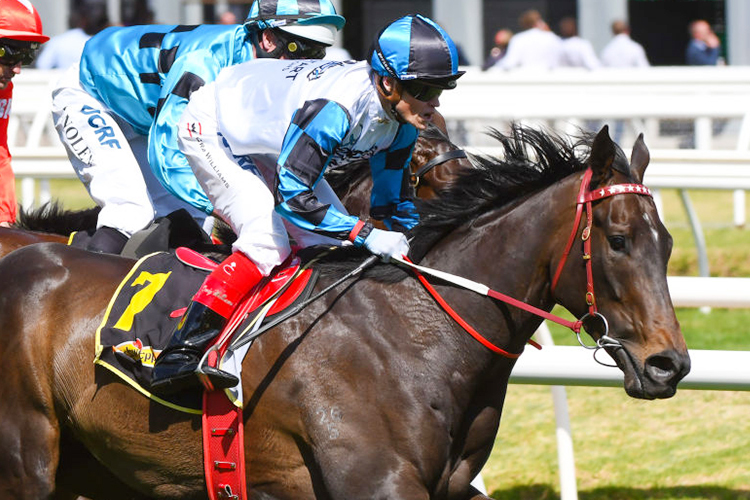 Another former Weir-trained horse, Thousand Guineas winner Amphitrite , will make her debut for the Lindsay Park team of David and Ben Hayes and Tom Dabernig in the Group Three Vanity (1400m). They were already well aware of her talent after she stormed home to win the Group One Thousand Guineas last spring in the final stride, chasing down her now stablemate Fundamentalist . "Over 7 f and a mile she will be better." Among the stable's other planned runners on Saturday are three-year-old colts More Sundays and Mickey Blue Eyes in the Group Three C S Hayes Stakes (1400m).